Sade Dickson’s story begins in Aurora, Colorado, where her mom was a single parent and working far longer than 9 to 5 just to pay the bills. That left plenty of time for Sade and her brothers and sisters to get into trouble. Which is exactly what they did. Her older brother fell in with a gang and her older sister got pregnant. As a result, they both dropped out of the public school they were attending. And unfortunately, Sade was following in their footsteps. But Sade’s mom knew what life is like without a high school diploma and was determined her daughter receive a good education. That’s when they heard about La Academia, a private school not far from their home. The moment they checked it out, Sade’s mother knew the school was perfect for her daughter. With much smaller class sizes, Sade was sure to get the individual attention she needed. The problem was, even with Sade’s mom working so hard, the tuition was more than they could afford. That’s where ACE came in. 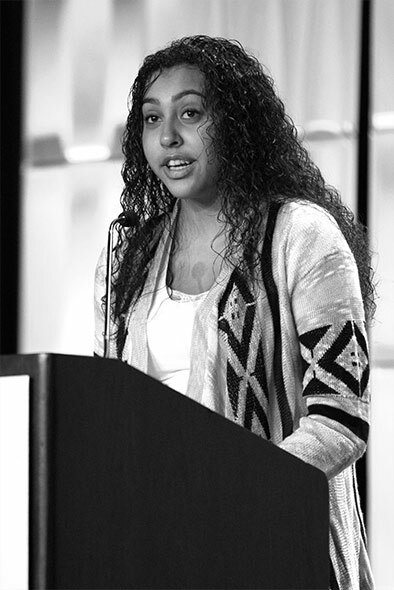 With an ACE Scholarship, Sade was able to attend La Academia. And thanks to dedicated teachers and a lot of hard work on her part, Sade didn’t just graduate, she graduated at the top of her class. She’s already completed several college courses and is applying to business school. But that’s not the end of this story. Watching Sade succeed inspired her younger sister to take advantage of an ACE Scholarship, too. And like Sade, she graduated from high school with honors. Today she’s a sophomore at CU Denver. And one more example how ACE is changing lives for the better.